Let me start here by saying that, I'm not a business owner, my observations on this post are based on conversations with business owners, workers and those out of work. I've tried to take in as much information about the economy as I can through media reports and raw testimony to the legislature by local economists on the Oregon Channel. The purpose of this post is to provide optimism about where we can take our economy and encourage new ways of thinking. It seems to me that the current problems stem from the collapse in the real estate market. We had a large portion of our community who felt secure because of growing equity in their homes and solid performance of stock market investments and retirement funds. With the stock market tanking, it's as if our money has vanished without reason that someone on main street can truly understand. Now, people who have money are saving it in less risky bank accounts and paying down debt. All of this is taking money out of the local economy and leaving Salem with empty store fronts and big box buildings. I once thought the big box chains would be invincible to an economic downturn but it seems that some of them may actually be more vulnerable. Circuit City, which recently opened in Keizer Station, is one in a chain of 567 stores that will be closing because of sluggish sales and the inability to refinance debt. Circuit City employs 34,000 people nationwide. No doubt the economy has been difficult for local businesses and I have heard from many of them that they are struggling to survive. But some locally owned stores have less debt and can survive a downturn by tightening belts. The owners are often in direct contact with customers and can shift to meet changing demands. The manager of a small grocery store told me that his market was going to survive because the owner was committed to the community, even if that meant significant loss in revenue. If you've been out to eat recently, you may have noticed more empty tables in dining rooms. Entertainment and dining is often the first place consumers adjust during economic downturns. But some restaurant owners have told me that breakfast and lunch sales have not had significant decline. This might be due to people still wanting to eat out but choosing less expensive meals. Local restaurants are most likely to be mom and pop operations and money spent there has a better chance of staying in the community. 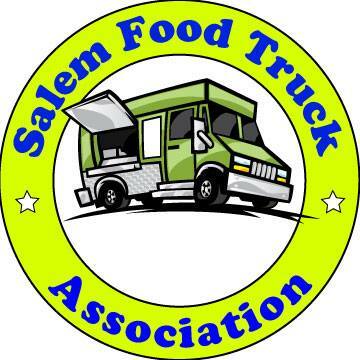 Choices you make about where to eat now can really make a difference in the Salem economy. I'm optimistic. We live in a rapidly changing society with communication technology that can link people together like no other time known to man. Direct communication can happen instantly between people almost anywhere in the world at minimal cost and energy usage. I frequently speak with my parents in California using a web cam and microphone. The software to do this is totally free and it sounds better than a telephone line. This type of technology could make it easier for employees to work from home, allowing for more flexible schedules for families. That could take a lot of congestion off the roads and less wear and tear on infrastructure and cleaner air to breathe. There's also potential to strengthen the communication in our own community. Social networks like Facebook and Twitter can be used to organize people with a common purpose, helping to solve problems in our own backyard. And what about our backyards? We could plant gardens in them and save in fuel costs bringing food from the farm to the table. How would this effect the farmers? I believe that when people taste and enjoy the quality difference of fresh picked home grown vegetables and fruit, they will want to eat more fresh produce. Farmers in the Willamette Valley could reap the benefit of local diets and people might be healthier and happier. I got the idea to write this post after the snow storms hit our city this last year and I noticed all the sand left behind from city crews who worked hard to make the streets safe to travel. An article in the paper was saying that it would cost the already cash strapped city $3000 a day to pay for the cleanup of the sand which was now piled up along the sides of our neighborhood streets. That's when I noticed a neighbor of mine had swept up all the sand in front of his house. I thought, why in the heck can't we all just pitch in and clean up our own streets. It would take me about ten minutes from broom to bucket to clear everything in front of my house. I would ask around the neighborhood to find out if there was anyone who might need help. Maybe some entrepreneurial teenagers could make a few bucks doing a bit of this cleanup. What's really going to get us out of this slump is a stimulus of ideas and energy and the willingness to take risk on new ideas and efficiencies. It might mean that we place higher value on things like spending time with family over spending our money at the mall. We're hoping that government is going to come in and sweep away our problems but it might be that it's going to sweep away our opportunities. Amen to that! I don't think many realize it would take very small adjustments on our part to make our community, on a whole, less reliant on dwindling budgets and national chains. Even if we make small changes like buying smaller gifts for family and friends, because we bought items at local stores which generally cost more. I've been finding I think two things when I'm out shopping or eating...I think locally first and then globally. I try to buy local items, even if it means I buy less because of the price. Next, I think about the impact my items will have on the environment, packaging and all and what that is worth to me. I find I rethink many unnecessary purchases due their inability to last and their construction and use reusable bags now more than ever.